Boxing has been contested at every Summer Olympic Games since its introduction to the program at the 1904 Summer Olympics, except for the 1912 Summer Olympics in Stockholm, because Swedish law banned the sport at the time. 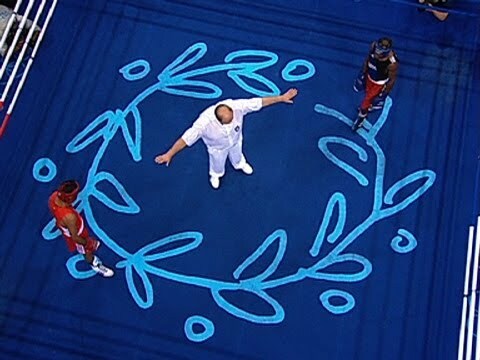 The 2008 Summer Olympics were the final games with boxing as a male only event. 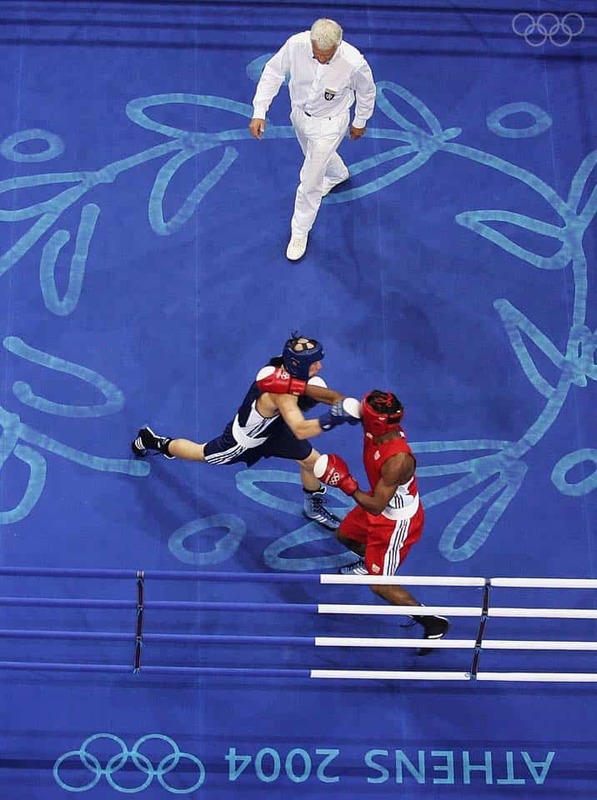 Beginning with the 2012 Summer Olympics, women’s boxing is included in the program. 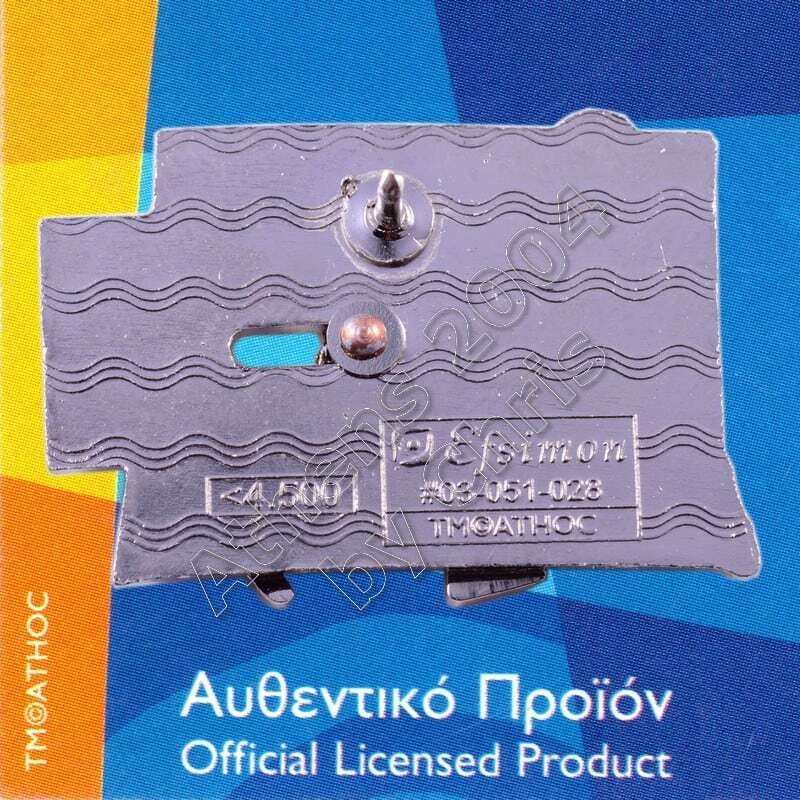 Along with wrestling, it is one of only two sports that still require participants to have amateur status. 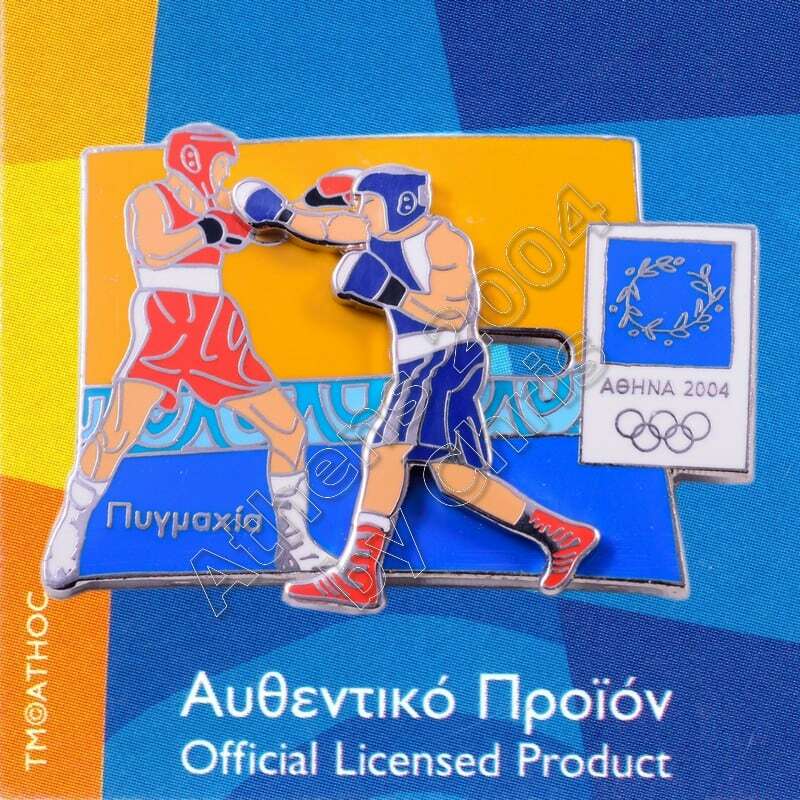 Boxing at the 2004 Summer Olympics took place in the Peristeri Olympic Boxing Hall. The event was only open to men and bouts were contested over four rounds of two minutes each. Five judges scored the fighters in real time and the boxer with the most points at the end was the winner. 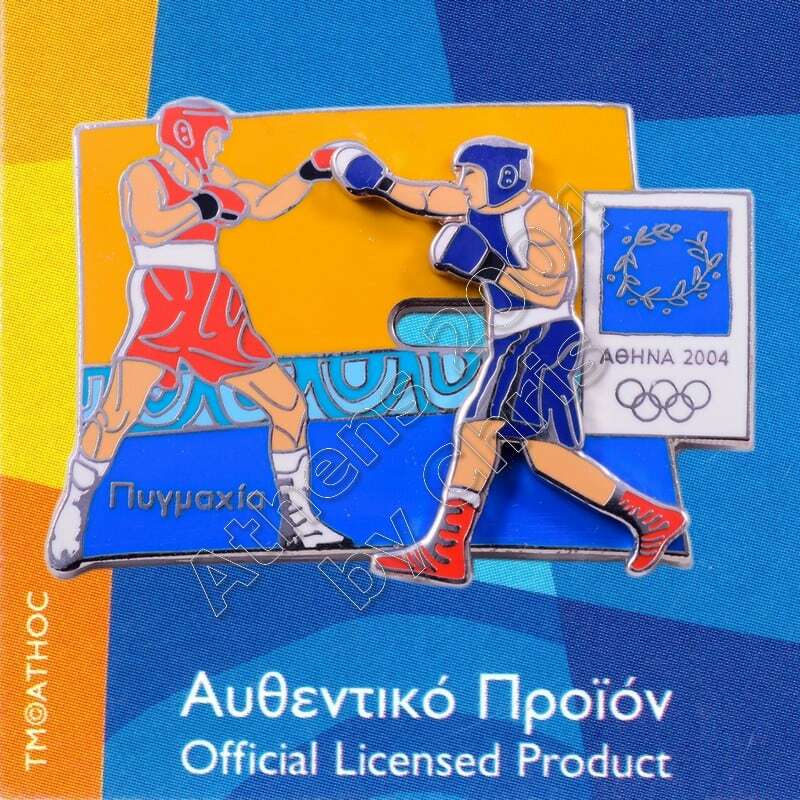 The pin depicting the Boxing sport in action – the athlete in moving on the surface of the pin.